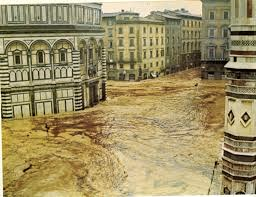 Omaggio a Firenze: On the 50th anniversary of the flood, a celebration of its timeless beauty. Photographs by Michael Nelsen and lithographies by Luciano Guarnieri. A selection of contemporary black-and-white photographs by Michael Nelsen, exploring the beauty of Florence today, will be juxtaposed to color lithographies by Luciano Guarnieri, depicting scenes from the 1966 flood. 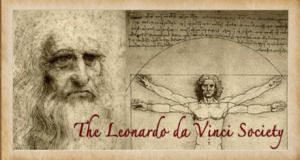 A commemoration of the tragic days of 1966, and the heroic efforts to salvage Florence’s many treasures, will follow in collaboration with the Leonardo da Vinci Society and in association with the exhibition at the Bookbinders Museum of San Francisco opening October 28.